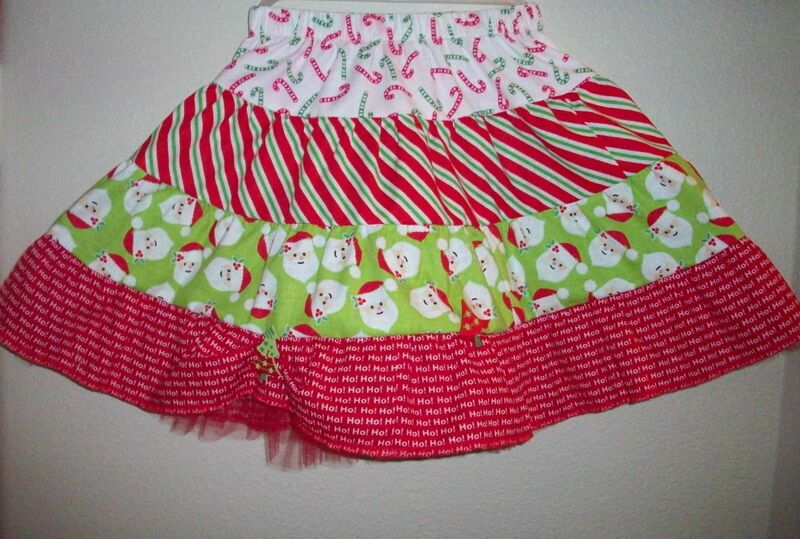 Still time to stitch up some Christmas fashion for the little Girls on your list. They’ll love you for it. 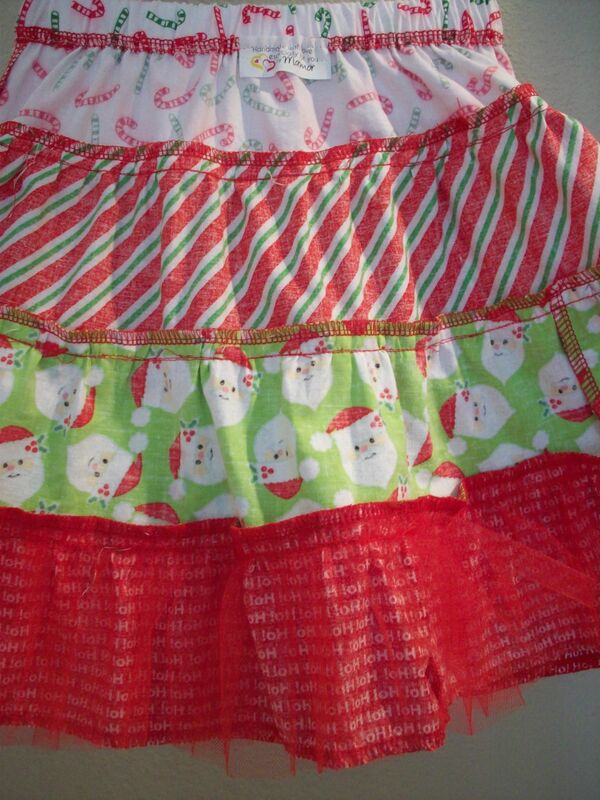 All it requires is a package of Christmas print fat quarters. It’s prepackaged so eliminates the fabric selection dilemma; how easy is that! 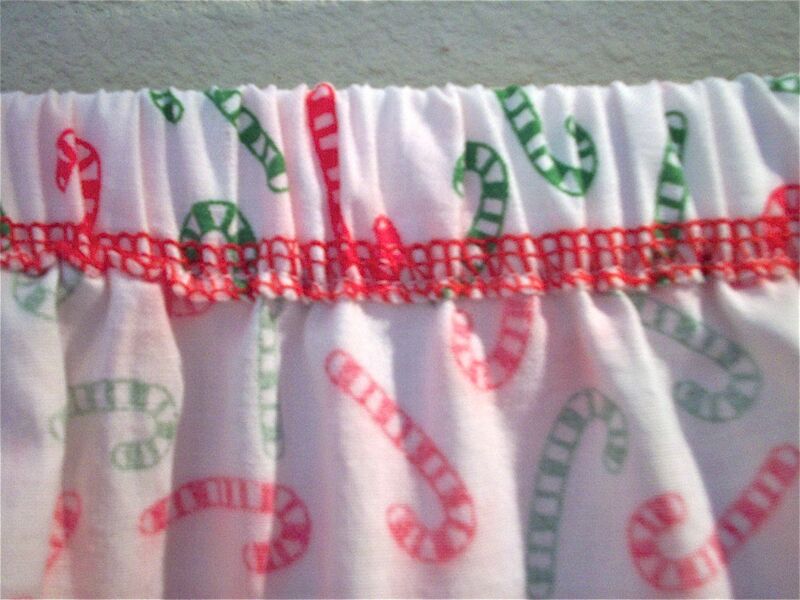 At a Christmas in July sale, the Fat Quarters on an end cap caught my eye and triggered a memory of a Fat Quarter Toddler Skirt from Pinterest. Couldn’t quite remember the details (that’s why there is Pinterest) but knew/thought my two Girl Grands would need some Christmas fashion. Whether they will wear it remains to be seen, as apparently, definite fashion ideas are bred in with all Girls from birth. 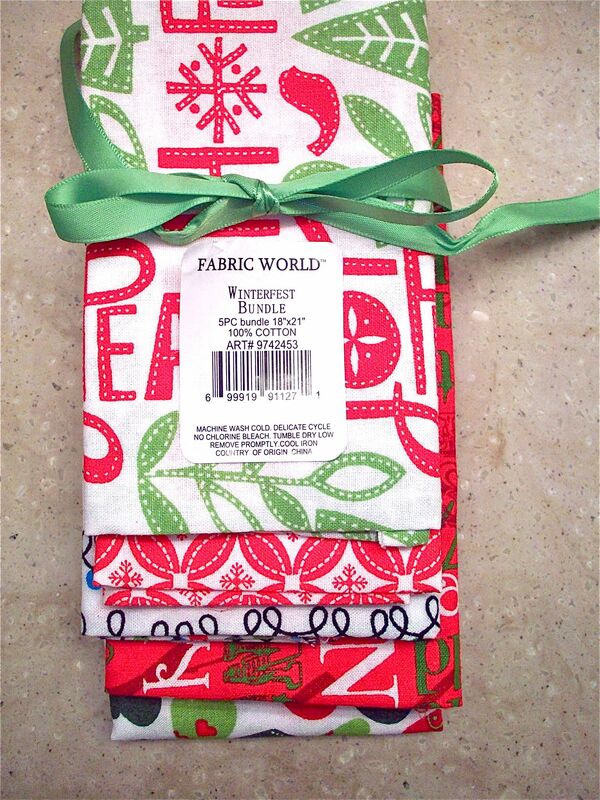 Bought two ‘on sale’ Fat Quarters packets with four cotton fabrics 18″ X 21″. 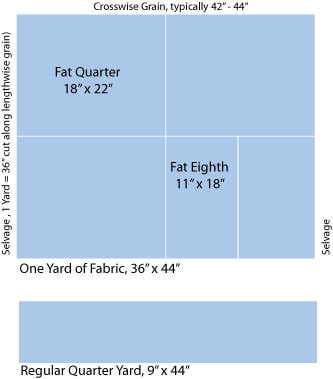 A Fat Quarter is a quilter’s term for a quarter of a 36″ X 44″ piece of fabric. Diagram below courtesy of Janet Wickell. Luckily, remembered them in the stash and proceeded to cut and stitch two of them in three days–with time out for nail appointment, a meeting, etc. This also included time calculating tier measurements. 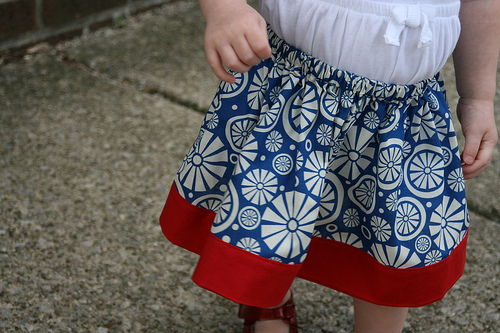 Turns out the skirts look nothing like the Fat Quarter Toddler Skirt (below), but did have just a vague memory which happened to be a tiered skirt. Now where did that come from? 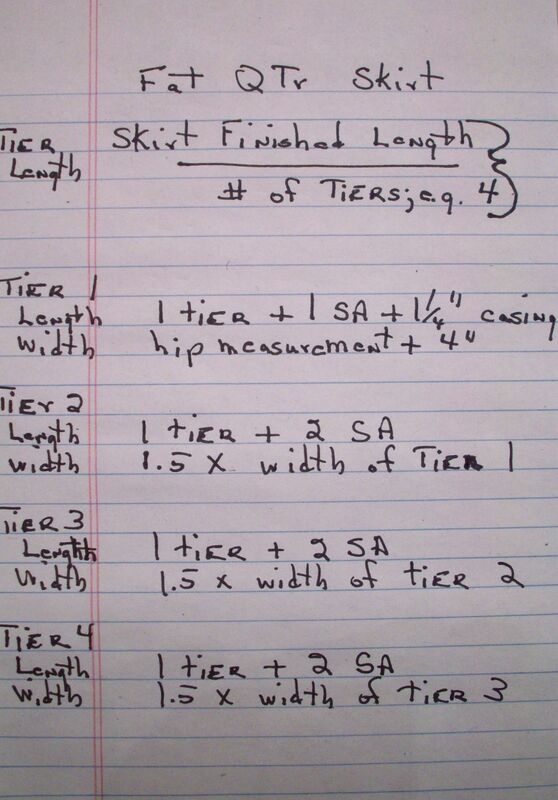 Once I decided on the order of the fabrics, each fabric was cut to size per the calculations below. The cut strips were joined into a circle then gathered and stitched to the preceding tier using a 1/2″ SA (seam allowance). A tier width of one and a half times the previous tier width is minimum but that is all the fabric I had–none left for matching. In the end, it turned out to be plenty of fullness. A tulle ruffle was added under the last tier to add fluff, and to make the skirt more appealing to the Princess Grands. I recommend using nylon tulle as it is softer than netting, and cover the raw edges as the gathered edge can catch in tights and is rough on bare knees. Serging provides thread coverage for the gathered edge; hem edge does not need finishing. Non-roll 3/4″ elastic is used in the casing. Cut it 4″ shorter than waist measurement. 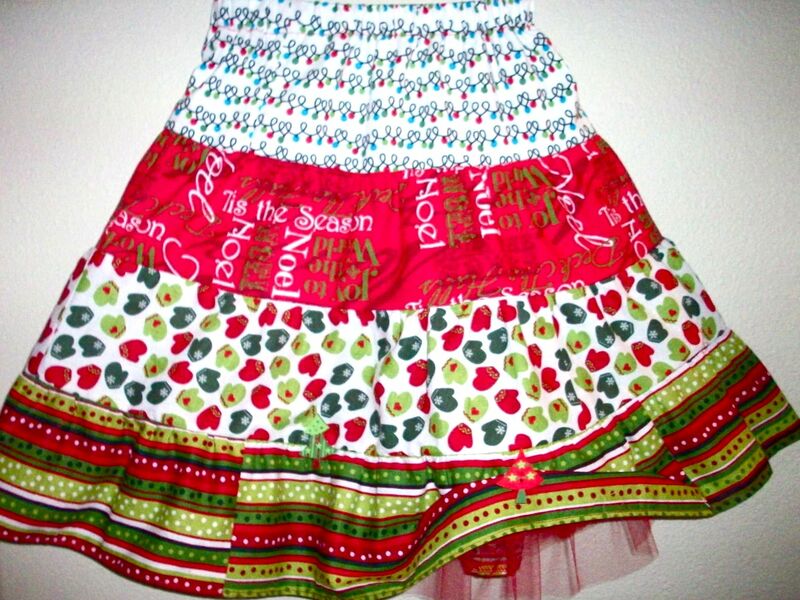 This entry was posted in FIBER FASHION FUN, GREAT IDEA and tagged fat quarters, girls Christmas Skirt, tutorial. Bookmark the permalink.